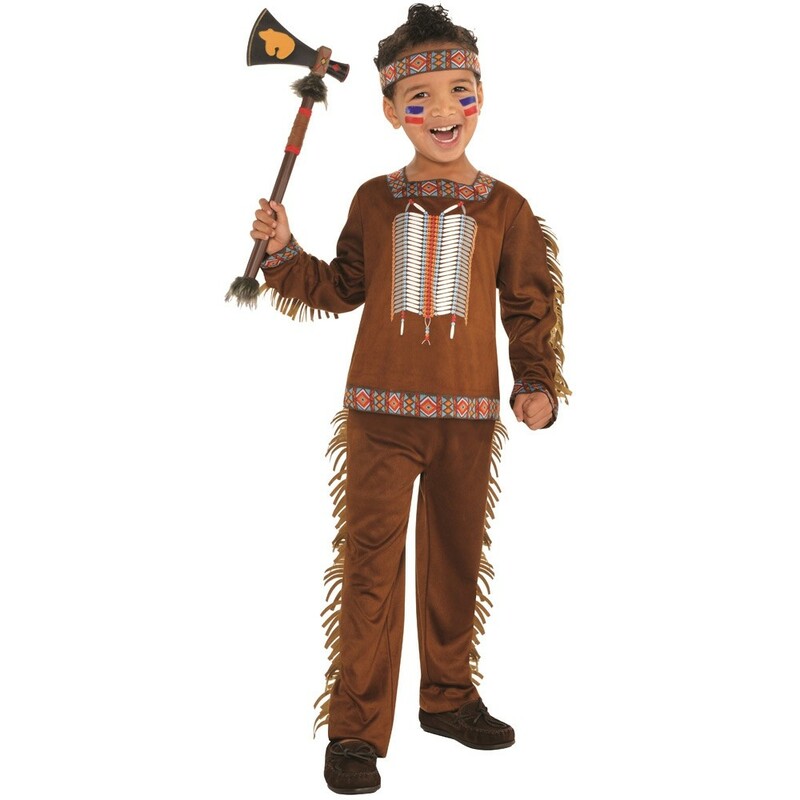 This lovely Native American Boy brown has fringing detail on its top and trousers and comes with a headband. This great Native American Boy is perfect for that “Cowboys and Indians” party! This Native American Boy has fringing detail on the top and trousers and also comes with a headband. Available in ages 4-6 years, 6-8 years and 8-10 years.